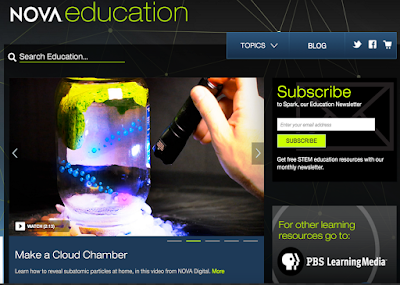 NOVA, one of the popular American TV series that produces in-depth science programming in the form of documentaries and short videos, has this excellent resource called NOVA Education. This is a free portal designed specifically to cater to the teaching and learning needs of STEM teachers and students. It provides a wide variety of educational materials that include informative short-form videos explaining different scientific phenomena, lesson plans to appropriate for your own teaching situation, interactive and several other resources all aligned to teaching standards.